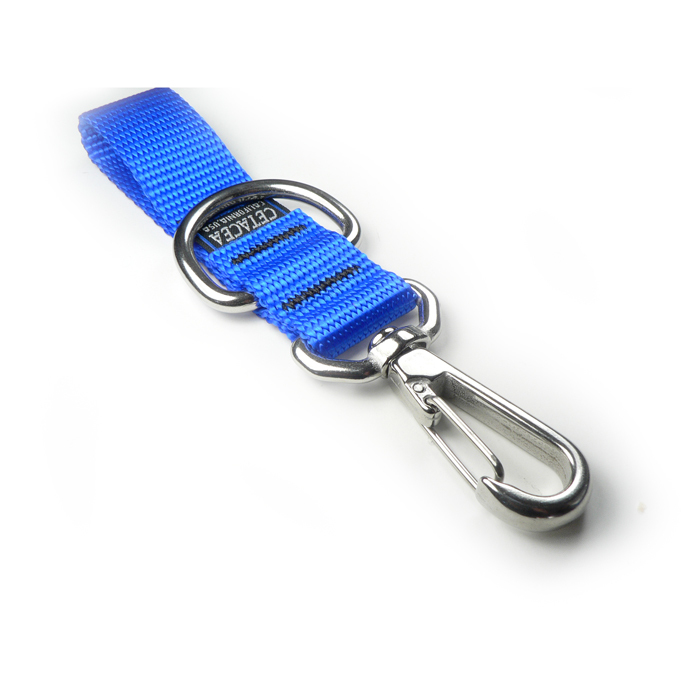 All purpose belt clip manufactured with webbing, D-Ring and swivel clip. Note: we have limited quantities of the red and purple. Please list alternate color on the check out form. See our dimensions table to find the correct size of this part. See the Learning Center for more information on how to use and install this product. Most parts ordered in quantity will be automaticaly discounted in your cart. 10+ items 5% off, 25+ items 10% off, 100+ items, 15% off. For larger orders get great pricing by contacting us. In Stock - Usually ships in 1-2 business days. 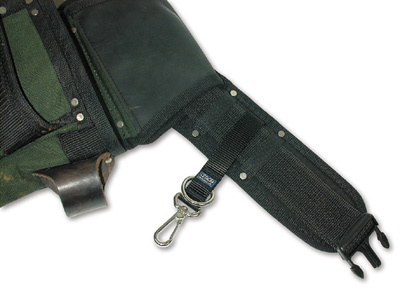 Alll purpose webbing-based Combo Belt Hanger. 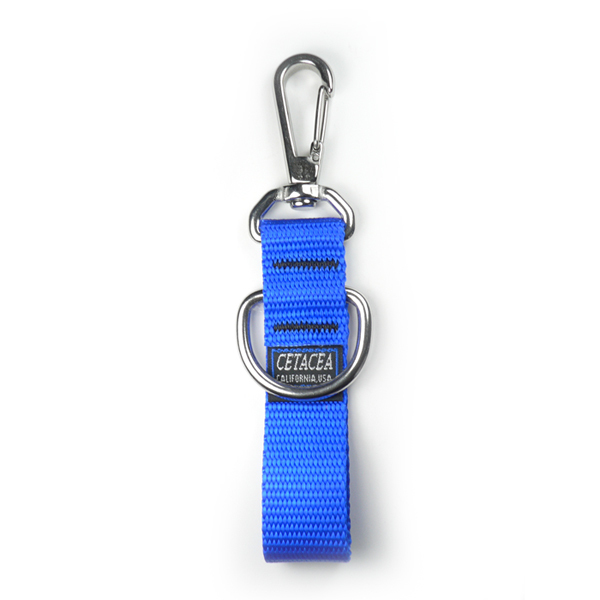 Ideal for tools, knives, keys, flashlights, etc. 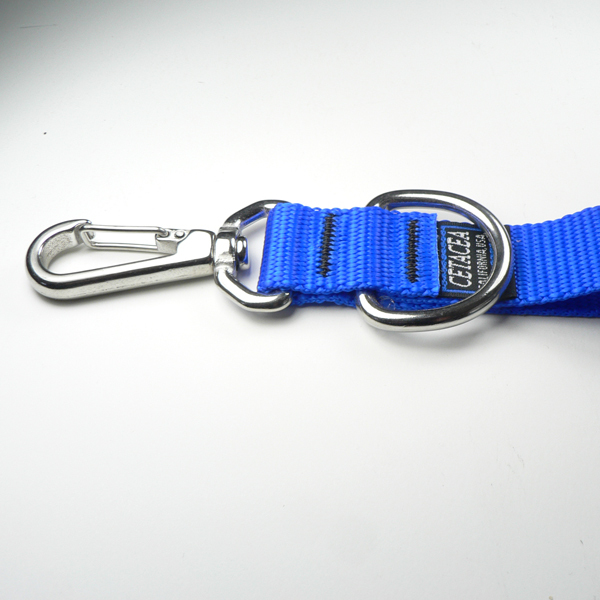 Used in conjunction with the Mini Coil w/ Ring, this Combo Belt Hanger provides attachment point for tether ( tether clip snaps on D-ring) and when the attached tool is not in use, it can be held close to the belt by snapping split ring of tether (attached to tool) to the swivel clip hanging from this Combo Belt Hanger. Allows for full extension of tool when in use with negligible tension on tool; the inner urethane coil has enough memory tension to to keep the tether coil tight but will extend with very little force applied. The inner coil is primarily designed to keep the tether short and out of the way when't (new word) in use. The combination of webbing and coil provide a collapsed helix which is less likely to tangle or get caught on objects compared to a poly coil which is not sheathed in webbing. Note: the tethers are meant to keep you attached to your gear but they are long enough that the attached tool will likely hit the ground if dropped. If working from a ladder or aloft, these tethers are strong enough to keep the tool attached to you should the tool be dropped. Copyright © 2000-2019 Berkeley Point. All Rights Reserved.